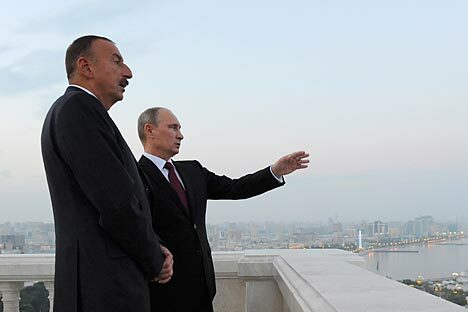 Baku’s disinterest in interstate alliances can be explained by its strict unwillingness to live in conditions where it would have to take “multilateral interests” into account, as these usually lead to some infringements on its own sovereignty. President Ilham Aliyev has clearly stated that Azerbaijan is not interested in European integration and the European path is not the one for his country. At the same time, Baku is prepared to develop and deepen bilateral relations in conditions of equal partnership with virtually anyone. Because of the problem in Karabakh, Azerbaijan is forced at times to act with an eye on Russia and avoid making any sharp “movements” in Russia’s direction. Other constraints may include the Russian market, in which a large part of Azerbaijani agricultural products have traditionally been sold, and the large number – at least a million – of migrant workers in Russia. These factors can be considered as Moscow’s levers of influence over Baku. Experts are inclined to think that Azerbaijan’s interest in international alliances depends in inverse proportion on the volume of energy harvested. That is to say as soon as a decline is noted in the oil and gas production industries, which, based on a number of prognoses could happen by 2020, this will reflect accordingly in the self-sufficiency of the Azerbaijani state, which might begin to look interestedly into multilateral unions. The situation here is opposite of that in Armenia, even disregarding the fact that Russian capital is represented in significant volumes. Moscow’s main problem is the virtual absence of a “pro-Russian bridgehead” that it could count on. In recognizing the independence of Abkhazia and South Ossetia, Russia deprived itself of effective leverage over Tbilisi. Reintroducing a trade embargo for the sake of carrying out its goals is regarded as a dubious exercise. First, Russia takes its international image quite seriously, and, second, as experience shows, while the Russian market is of course important for Georgia, its loss is not fatal.